Create something with these designs that speaks of bygone days sitting at the table with Grandma having a mug of hot cocoa and a plate full of her freshly baked cookies, which just happen to be your favorite! 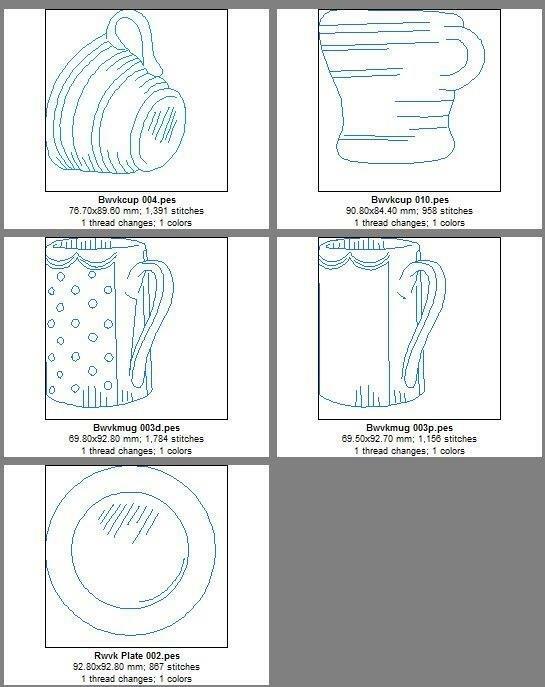 Add these Bluework Machine Embroidery designs to dish towels, potholders, placemats, mug rugs and more. The designs with dots will have multiple thread jumps as the design sews from one dot to the next. Click on MY ETSY SHOP to purchase and download 9 Vintage Jar designs.